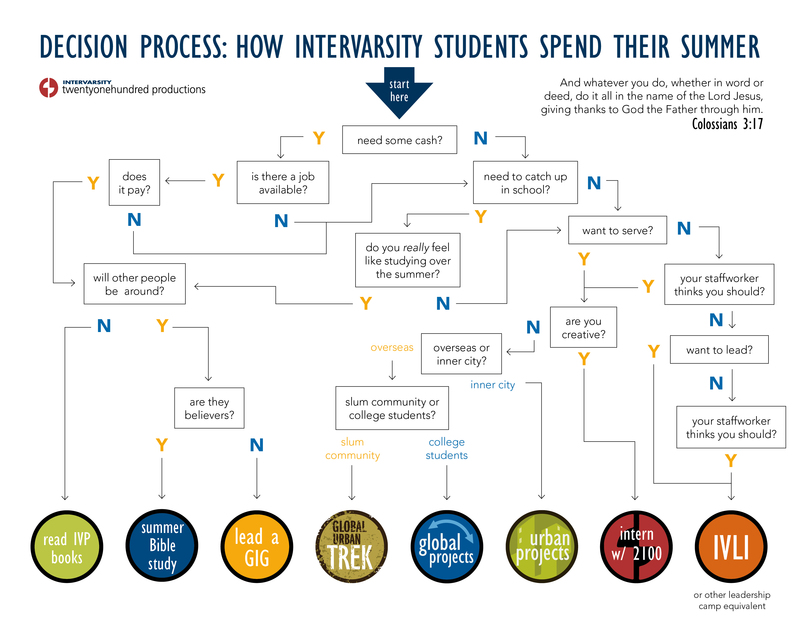 As summer looms, InterVarsity students around the country consider how they should spend the three months of sunshine and freedom that yawn ahead of them. This critical pathways style graphic can help your students navigate the big decisions that need to be made, and provides completely unbiased* advice. Hopefully, it will also help take some of the pressure off. *Not true. The advice contained in this infographic is completely biased.